Besting DFW rival Coppell by 1.6 points, Timber Creek earned their first-ever regional champion title Saturday night at Bands of America’s Midland Regional at Grande Communications Stadium in Midland, Texas. The band swept captions, earning awards for the music, visual, and effect of their program. 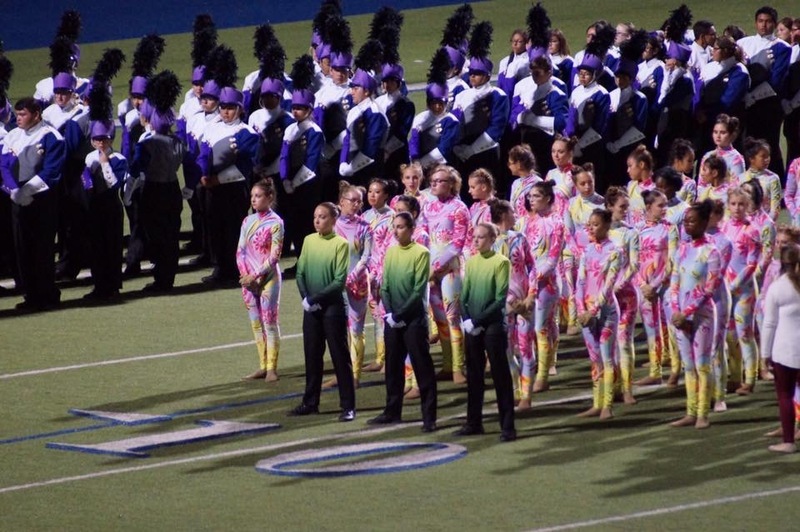 But more impressively, Timber Creek (78.05) was ranked first by every single judge in finals. This accomplishment come less than one year after their first-ever appearance in BOA finals. In 2017, Timber Creek earned 10th place at the Southlake Regional and third at the Midland Regional, going on to finish 24th at the San Antonio Super Regional. Coppell (76.45) earned the silver medal and kept it close with Timber Creek the whole day. In prelims, Coppell was just 0.7 points behind Timber Creek, and the two bands tied in the music and visual performance captions. That gap doubled in finals when Timber Creek took the lead in every caption. Wylie East (73.65) increased their score by over two points from prelims to finals, led by strengths in the visual performance caption. Wylie East earned second from the ensemble visual judge, and tied Coppell in the music performance caption. Granbury (72.60) and Midland Lee (71.35) swapped placements from prelims to finals, finishing fourth and fifth respectively in finals. Granbury earned as high as second in ensemble visual and Midland Lee as high as third in individual visual. Del Rio (69.55), Birdville (69.00), and Permian (68.50) also flipped spots between rounds of competition and made history for their own programs. Del Rio’s sixth-place finish, Birdville’s seventh-place finish, and Permian’s eighth-place finis each set or tied the school’s record for highest placement at a BOA event. Bel Air (67.45) and Lubbock-Cooper (65.80) earned the last two spots in finals, each receiving as high as seventh place from at least one judge.